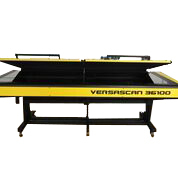 VERSASCAN 4870 Flatbed Scanner Bigger. Better. Faster. 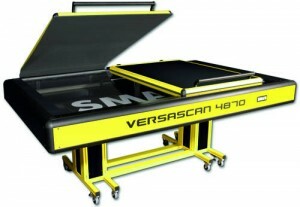 The new VERSASCAN 4870 is the latest addition to the SMA family of flatbed scanners. With a scanning range of 1219 x 1778mm it scans longer and wider than its successful sibling VERSASCAN 3650. This double A0 scanner opens new doors as it can scan oversize originals in one go without the need of stitching several scans together. Further it offers outstanding productivity. Of course the VERSASCAN 4870 is equipped with our new V3D = Virtual 3D technology. 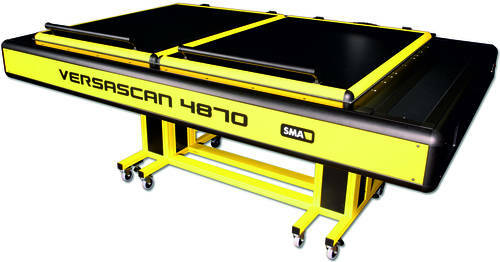 Over the past several years in the USA the Fine Art Scanning Industry has fallen in love with the SMA VersaScan Range of A1, A0 & Double A0 Large Format Flatbed Scanners. The various models of the SMA VersaScan Range have found homes with numerous members of the Fine Art Scanning Industry across the USA & Canada.